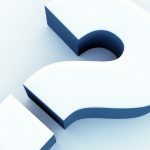 Are you worried about maintaining new electric gates? As we have often mentioned, installing new electric gates on your property is an investment and, as such, you want to maximise your investment and make sure the gates last as long as possible. 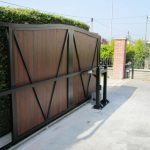 The installation of electric wooden gates or electric metal gates may leave you feeling a little bit anxious as far as maintenance is concerned as, after all, you want to ensure that the gates will open and close each and every time. Here it should be pointed out that in the unlikely event your electric gates do fail to open or close, this task can also be carried out manually so there is no need to panic! Where maintenance of the gate is concerned, this is no different general maintenance of any entrance gates. What we do recommend is that they are cleaned thoroughly twice a year to stop any growth of algae and if you have wooden gates, then the wood is treated every couple of years by “feeding” it with an appropriate would oil. We do not recommend varnishing wooden gates as while of varnish may protect would it also quadruples the amount of unnecessary maintenance. Where the gate openers are concerned, aside from generally keeping the unit clean and clear of debris externally, we would strongly recommend allowing us to carry out an annual maintenance check on your behalf. We do not say this in an attempt to generate extra business for TPS Electric Gates & Doors Ltd but more a case that there is nothing we don’t know about electric gate openers and we are therefore able to carry out maintenance swiftly, efficiently and most importantly of all, safely. If you have been considering having new electric wooden gates or electric metal gates installed but have yet to make a final decision, please make sure you give us a call if you live in Bristol, Bath, Gloucester, Cheltenham, Cirencester, Chepstow, Newport, Clevedon or surrounding areas and we will be more than happy to call round and see you to discuss the options available to you in greater detail.